We are in an era where Google’s Android operating system has penetrated the nook and corner of the world. On one side there is the recent OTA (over-the-air) update of its latest Android Lollipop for all Nexus and Motorola phones and on the other the next version of Android 5.1 (lollipop-II) had been rolled out. The best part about Android operating system is its feature of being open source. More than before, a lot of electronic manufactures like Samsung, HTC & Asus (to name a few!) have got access to the code which makes it easy for them to use it in their smartphones. Since a lot of Android devices are getting more efficient and affordable, the size of the market is expected to grow. This goes to the extent where different versions of Android itself have been rolled out through companies like Cyanogen which rolled out Cyanogen mod (One plus one & Micromax Yu Yureka anyone?). Every since Google rolled out its play store, the joy of experiencing app has only multiplied tenfold. There was a time when we all looked up to the iTunes store from Apple and sometimes getting an iphone was nearly impossible. But with the Google play store and Android smartphones access to apps has become so easy for all. Everyday around 1.5 million Android devices are activated across the globe. 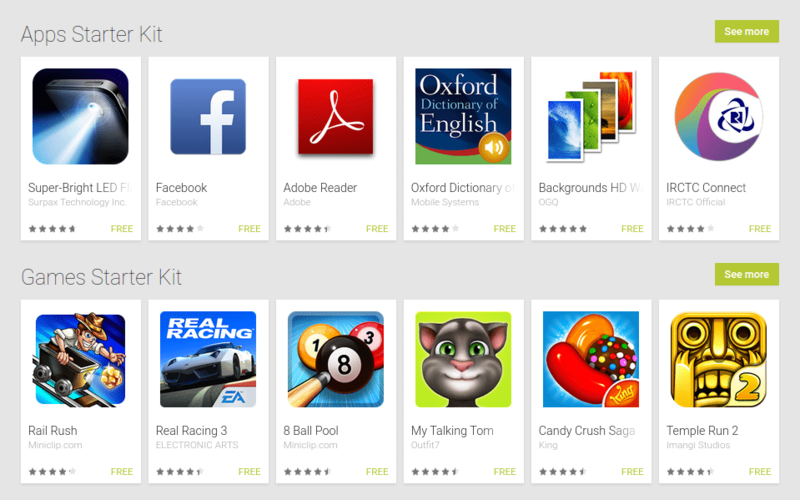 There are over 1,460,800 apps in Google Play store & growing! 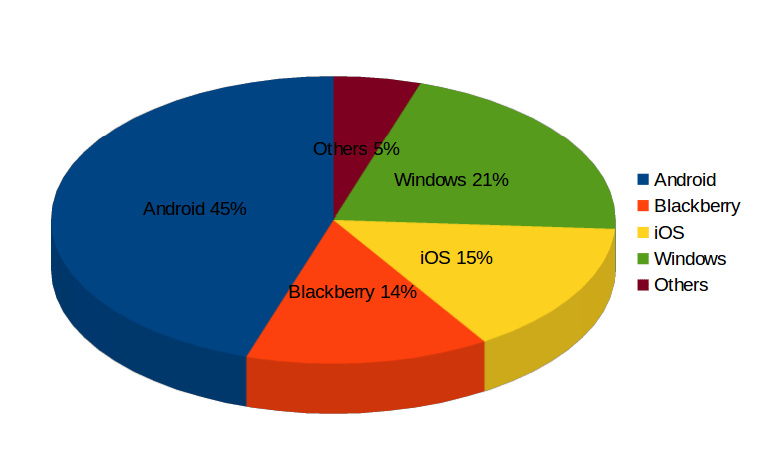 Over 60% of Android apps are for free! As Android provides an interesting revenue model, a lot of organizations have a dedicated team for application development with hiring catching pace. The unique advantage of learning app development is that learners can choose to work or freelance. Similarly, once that person masters developing apps through Android it becomes easy to develop apps for other operating systems! The graph below is just an assumption of a person having knowledge of Java and where he/she could go from there. Here it clearly shows that application development is one of the promising career paths for professionals who just love creating apps. Did you know that the costliest app in Google play store is the Abu Moo collection app for $200! Weird but true. This app is especially made for rich people. More of that later, but the fact that Google allows developers to price their apps in the Google play store even at such higher prices makes it quite rewarding. $1 X 1% X 1.5 Million = $15,000 ! App Download – Once the app is launched in the Google play store, the app developer can fix a price for the app and post download, Google will pay out after deducting play store charges. Ad-Revenue – This model is quite common for free apps where Google will pay out to developers in exchange for placing ads in the app. A lot of developers have benefited from this model. Android is everywhere. Let’s face it. Recently, the Moto 360 got launched to compete with Apple Smartwatch and then there is the Google glass powered by the Android operating system. Staggeringly, the total number of Android devices sold is 1,175,450,000! What’s in for the developer? It’s simple. Different devices offer different opportunities! Smart TV customers for example will have different expectation than Smartphone users when it comes to apps. Taking cue from this small insight, app developers can launch apps for each type of customer segment thereby widening their base and increasing their revenue many times. Java – It’s important to know Java because the Android applications have Java coding in it. XML – Secondly, XML is the second most important skill for Android app development since it enables you to work on the app layout and design. There is a free tutorial that might interest you to get started with app development with Android Lollipop. Of course, the steps are not quite simple and some minor steps are omitted, but this will give you a brief picture. For any app developer its first important to focus on google’s android operating system since it offers a huge market where anyone can be a part of this growing story and instant recognition for your skills is just a stone throw away with android.